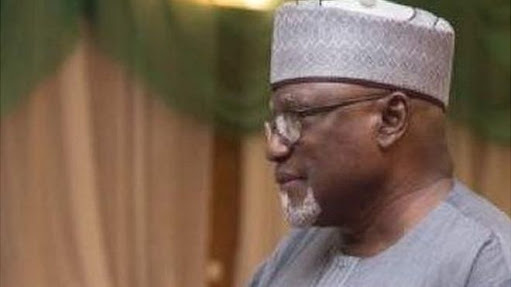 Ex-DSS DG, Lawal Daura Caught In N8bn Fraud With Woman? There appears to be no respite yet for the sacked Director General of the Department of State Service (DSS), Lawal Daura, as a preliminary report of investigation by a probe panel set up to investigate financial allegations against him has indicted him for alleged embezzlement and money laundering while in office. Daily Sun had reported exclusively the detention of Daura in DSS ‘protective custody’ after his initial arrest and release by the police to allow detectives carry out extensive investigations on some allegations against him. This followed his sack by the then Acting President, Prof. Yemi Osinbajo, allegedly on the orders of President Muhammadu Buhari who was holidaying in London, and detained, on Tuesday, August 7, 2018. He has since remained in the DSS detention facility located in Gwarimpa, Abuja. The team of investigators comprising operatives of the EFCC and other security agencies in their report accused Daura of operating a phony account with a new generation bank, with a total in-flow of over N8.2 billion between November 2015 and April 2018 in five structured and systematic transactions. The account number is 1014481726 and is managed by one Miss Amara Maduagwu, a staff of the bank, believed to have a close relationship with Daura. Beside this, the investigators accused Daura of embarking on a pattern of cash withdrawals running into billions of naira. Specifically, the report said between January and December 2016, the embattled ex-intelligence chief approved and withdrew in cash the sum of N2,675,858,185,09 from the accounts of DSS.